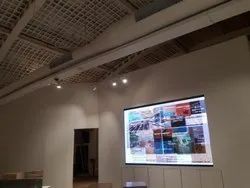 Offering you a complete choice of products which include indoor p1.2,p1.9,p1.5,p2 fine fixel video wall screen, p-3.91 indoor special design video wall, p3.91 led display, led video wall and p 3.91 indoor led curve special design display. 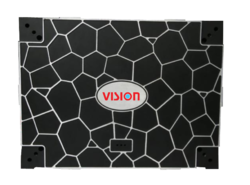 We are the leading and prominent Manufacturer and Supplier of INDOOR P1.2, P1.9, P1.5, P2 Fine Fixel Video Wall Screen. 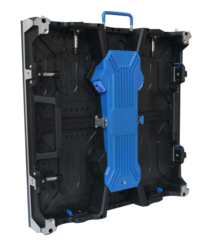 Dual / Backup Signal connectors special moderate cabinet design for corporate event.Double locks both sides gives you 100% seamless screen result. We present our clients with an impeccable assortment of LED video wall. these are also offered to clients on a rental basis for particular time duration. Our range is manufactured using premium grade component and sophisticated production techniques. These are wall mounted units and are also in accordance with the required industry standards. We are one of the leading manufacturer and supplier of P4.81 Indoor LED Curve Special Design. We obligated to meet the quality standards as per the customer demand.